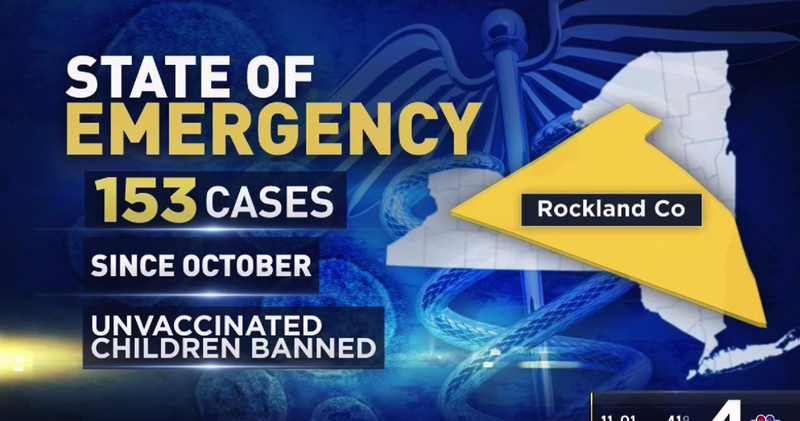 Rockland County Executive Ed Day declares a countywide State of Emergency to deal with the measles outbreak that began in October 2018. Effective at the stroke of midnight, Wednesday, March 27, anyone who is under 18 years of age and unvaccinated against the measles will be barred from public places. New York City has reported 214 of measles cases as of Wednesday. According the Centers for Disease Control and Prevention, at least 314 cases of measles have been reported this year in the USA. Measles is highly contagious. It can easily spread to others through coughing and sneezing and can live for up to two hours in an airspace where the infected person coughed or sneezed. Measles is so contagious that if one person has it, up to 90% of the people close to that person who are not immune will also become infected.